So much snow! The ground is still covered a week later. It's crunchy on the top where it melts and refreezes. We had seven snow days, then eased back to school with a 2-hour delay, then 1-hour and a full day yesterday. Used the short school days to get ahead on some testing and writing pieces. I've been asked to make a quilt in boy colors AND we have a new second cousin in the family. I used another Project 12 quilts pattern- Little Owls. 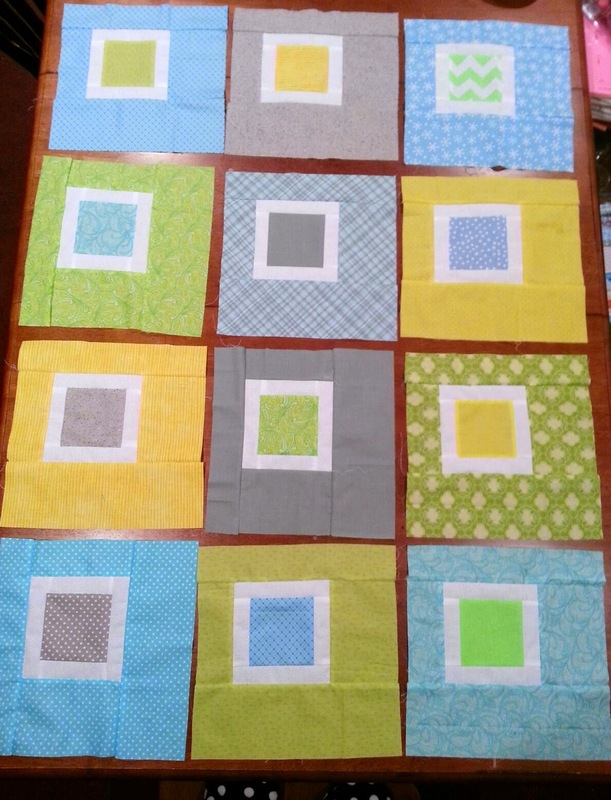 While I was cutting these wonderfully big blocks, I also cut blocks and strips for another Little Leapfrog. Disclaimer: This is NOT completely from stash :( but it was fun shopping for the grays and blues. I've been adding a narrow white sashing between the blocks this morning. Glad you are enjoying your snow days. Hope that it warms up soon. Great colors for your boy quilt! The blocks are perfect. Enjoy those snow days!!! We're getting tons of Ohio snow here too. Brrrr. But we expect it. 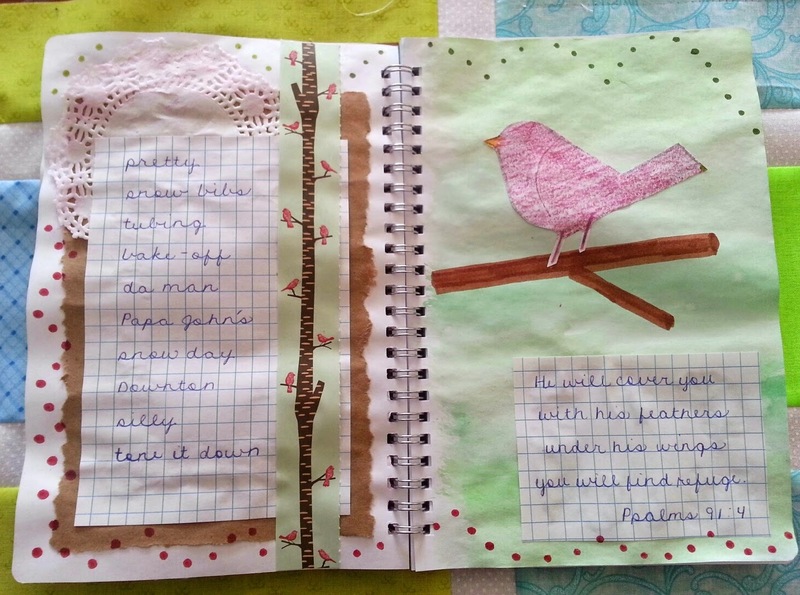 What a pretty pink bird for your journal!